It seems like the casting carousel is never ending when it comes to Marc Webb’s The Amazing Spider-Man 2. While they’ve already added big names such as Jamie Foxx and Paul Giamatti to their rogue gallery, it seems like they’ll need to set one more place at the dinner table. 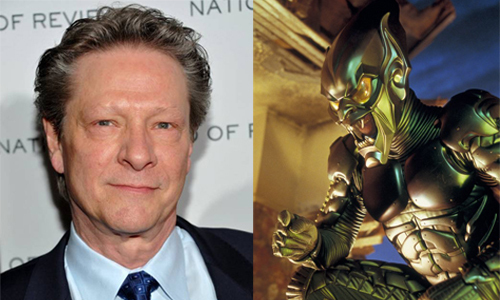 THR is reporting that Chris Cooper has come aboard and will play Norman Osborn, a.k.a. the Green Goblin. This shouldn’t come as much of a surprise considering Oscorp Industries played a crucial part in The Amazing Spider-Man, and Dane DeHaan was cast in the sequel as a young Harry Osborn, Norman’s son. What is surprising is that such a big name actor like Cooper has been cast for the sequel. While I know it was inevitable that Norman would make an appearance at some point during Webb’s presumed trilogy, I’m surprised it’s happening this early in the game. I liked how he was teased in the first movie, and would’ve been happy with just a brief cameo of him in the sequel. But having a prestigious actor like Cooper take on the role leads me to believe he will have a major part in this film. With Electro, the Rhino, and a young Harry already poised to fill the role of the villains, are we in store for another Spider-Man 3 situation in which the film is crushed under its own weight? While it has yet to be confirmed whether Cooper will wear the Green Goblin suit in the film, THR specifically refers to him as the Green Goblin, so one can only assume. I’m hoping Cooper’s appearance is just a tease for what is to come in the third film, but if you ask me, the new movies have a chance to separate themselves from the original trilogy created by Sam Raimi, and I feel that bringing back Osborn–as central a figure as he is in the Spidey Universe–is just a rehash of old material. 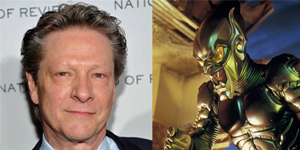 Although, if rumors about Webb wanting to develop the super villain squad the Sinister Six are to be believed, then the Green Goblin’s addition makes more sense. Only time will tell.